VCS Denmark – known in Danish as VandCenter Syd – is the third largest water and wastewater utility in Denmark, and its history as an enterprise dates back more than 160 years. VCS Denmark’s main operational activities include catchment management, treatment and distribution of potable water, and transport, treatment and disposal of wastewater. In recent years its activities have increasingly incorporated climate adaptation as VCS Denmarkll. VCS Denmark contributes to the protection and improvement of the aquatic environment and the development of green urban living. In all activities, consideration for the environment is a key factor. VCS Denmark is a limited company owned by the municipalities of Odense and Nordfyn. This enables a special position where VCS Denmark is able to enter agreements and operate both on private company terms and as a publicly owned utility. VCS Denmark has a close relationship with its owners, and the drive for sustainable solutions comes from both parties. Supporting livable cities and using rainwater for urban recreational purposes is part of the company’s strategy, which is focusing on the circular economy. Creating resilience to flood risks is a common interest of VCS Denmark and the city. When VCS Denmark engages in a project, it always considers the stakeholders and how they are affected positively or negatively. Incorporation of the hydrological balance in the city’s overall drainage systems requires the implementation of new tools, new collaborative interfaces and innovative utilization of existing technologies. All levels of public administration play an active role in protecting the groundwater resources in co-operation with local water utilities. The municipality of Odense approves the tariffs for water and wastewater services, issues water licenses, and is responsible for water supply planning, waste water planning, and climate adaptation planning, etc. The municipality of Odense is also an owner (89%) along with the municipality of Nordfyn (11%). Owners appoint five members of the utility’s board out of eleven total members. The tariffs are influenced by a national total benchmarking system that compares costs for both maintenance and investments with other utilities in Denmark. The aim is to ensure efficiency in the largely monopolized Danish water sector. The result of the benchmarking is an upper price cap. Within this frame, prices are set. According to Danish legislation, water and wastewater utilities work on a nonprofit basis. In the long run, expenditure has to break even with what is charged the customers. Two local municipalities own VCS Denmark, and the overall demands for its actions are described in an owner’s policy. The main part of the utility’s shares is owned by the municipality of Odense – which covers the city where the headquarters is also situated. Adhering to the policy is a responsibility of the Board of Directors. Both parties shall keep each other informed of what is going on. VCS Denmark shall give priority to cooperation with private and public companies, educational institutions, other utilities, authorities, advisors and contractors in the region. The utility will also have to consider applying regional solutions. VCS Denmark must contribute to the overall improvement of the environment, amongst other things through clear strategies for water recovery and groundwater protection. VCS Denmark has a close relationship with its owners, and the drive for sustainable solutions comes from both parties. Supporting livable cities and using rainwater for urban recreational purposes is part of the company’s strategy, as is focusing on the circular economy. The utility also has an overall value of being responsible, meaning e.g.  that the ecological footprint of the utility is always considered. Some examples of this work are detailed below. 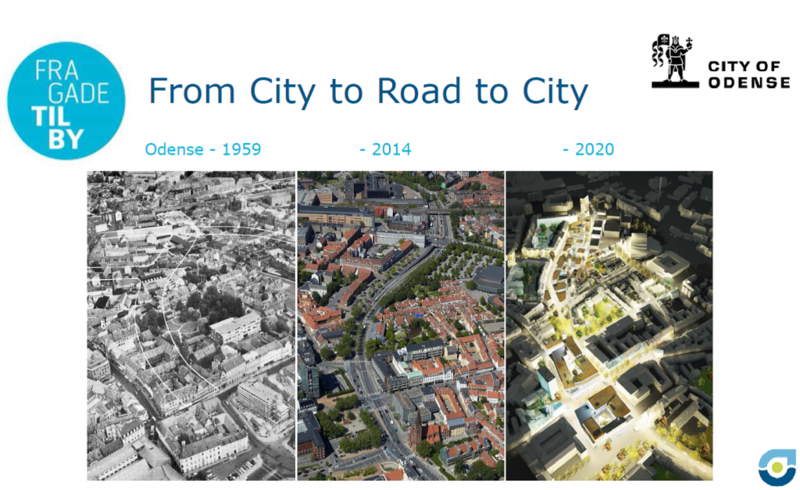 The city of Odense is undergoing huge changes these years. One remarkable project transforms a large street, Thomas B. Thriges Gade that used to divide the inner city. In the future, this street will become part of the city and consist of housing, offices, shops, cultural institutions, cafés etc. There will also be a large two floor underground parking facility. The city itself is behind the project – with support from the Realdania foundation. The street was closed in 2014 and VCS Denmark has been involved in the transformation from the beginning. The utility was tasked to establish a separate pipeline to drain rainwater from the area and the parking facility. In addition to reorganizing the existing sewage system in the area, which has been a difficult task since the project is very low below ground. The project is scheduled to finish in mid-2017. One of the major challenges has been to design the new urban space in a way that would support the city’s need for climate adaptation. The sewer system of the inner city has been and will be under growing pressure in the coming years. Therefore, rainwater has to go elsewhere – thus reducing the risk of wastewater overflowing into nature or into basements. Both of these considerations are elements of the plan by which the municipality regulates demands on wastewater service. Creating resilience to flood risks is a common interest of VCS Denmark and the city. The challenge in this case however, was that the old inner city urban area left no open spaces for a reservoir to accommodate safe flooding space. 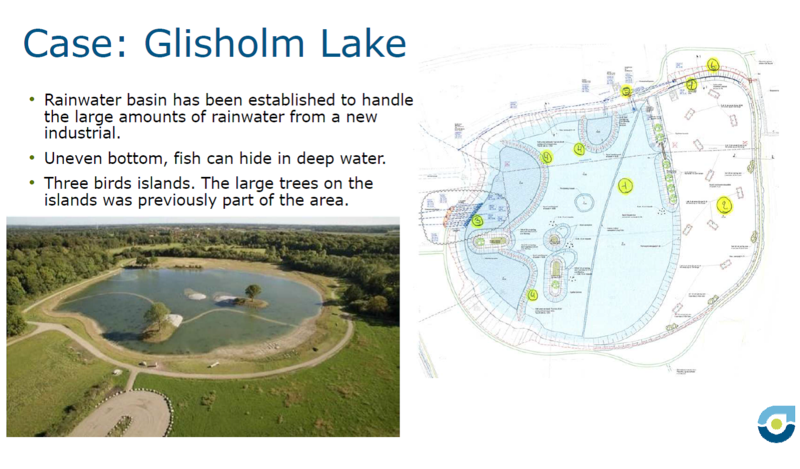 The traditional alternative to a reservoir would be to transport rainwater away from the area. This solution would be high in cost and cause further inconvenience to the citizens. VCS Denmark’s solution was to add extra functionality to an existing recreational area. VCS Denmark was therefore allowed to build a small dyke at the side stream of the stream that runs through Odense. This means that rainwater is delayed before entering the stream itself and being transported out of the city. In this project, cooperation was essential. The rainwater pipes had to be tunneled under an existing residential area. Therefore, VCS Denmark approached the homeowners and arranged a voluntary agreement that gave them economic compensation. In general, it is key for the utility to find solutions where stakeholders are informed and involved during the process. The authority in this case, the municipality of Odense, also owned the recreational area around the stream – as well as being an owner of VCS Denmark. When VCS Denmark engages in a project, it always considers the stakeholders and how they are affected positively or negatively. For the municipality of Odense, this specific project caused changes to a recreational area while reducing inconvenience for the citizens and meeting the needs for climate adaptation. In that way, the chosen solution made sense for the involved parties on several levels. In general, it is important for the utility to optimize solutions in terms of e.g. sustainability, future maintenance needs, recreational add-on-value, and to consider the inconveniences that may arise for neighbors during construction, etc. In this specific case, VCS Denmark also gained the benefit of not having to send rainwater to the wastewater treatment plant. Not only is it unnecessary to treat clean water – rainwater also obstructs energy production at the plant. Glisholm Lake is an artificial rainwater lake situated in the Southern part of Odense. The lake is around 7 hectares and was established in the period 2015-2016. It is the result of cooperation between VCS Denmark and the municipality of Odense, involving also other stakeholders such as nearby residents and the Danish society for Nature Conservation. The fundamental basis for the project was the building of a new road and expanding the industrial area. At that point, rainwater in the area VCS went into the Lindved Stream – but there were already problems with flooding of privately owned gardens around the stream. More rainwater going directly into the stream would have intensified this problem. Also taking into account the need for a more responsive and sustainable water system, a solution had to be found. Rainwater had to be delayed, so the stream would not be overloaded during heavy rainfall, but could keep transporting water out of the area at its own pace. The challenge, however, was that there were no vacant areas around the road that could accommodate a traditional rainwater basin. If a basin were to be built, it would take up space in the industrial area – designed to create growth and places of employment for the people of Odense. In order to come up with an alternative solution, a group of people within VCS Denmark sat down and looked at the map, trying to solve the seemingly unsolvable. Luckily, they succeeded. A meadow area lay close by, and the city was approached to see whether creating a lake that could contain and delay rainwater within the existing nature area was a possible solution. The answer was “yes”! The municipality of Odense was the authority on the project, but also the owner of the area at stake. In cooperation, VCS Denmark chose to construct a lake that would not only serve the purpose of a rain water basin, but also be valuable in terms of increased livability for the citizens: a holistic solution that would encompass climate adaptation. Going for maximum added value, it was also decided to construct the water environment in a way that would support wild birds in the area. VCS Denmark consulted the Danish society for Nature Conservation, and three bird’s islands were placed in the lake – with large trees on them that were previously part of the area. Furthermore, the construction of an uneven streambed with holes enabled fish to hide in deep water. Glisholm Lake now serves many purposes: It is a technical facility relieving the stream. It is a place for birds to live. It is also a recreational area for human beings – serving not only the immediate neighbors but also giving the opportunity for users of a nearby park-and-ride to do a short run in connection to their working day and commute. The lake-project demonstrates that VCS Denmark as water companies can facilitate good technical solutions to problems – while also creating added value for users and supplying the city with green and blue elements. 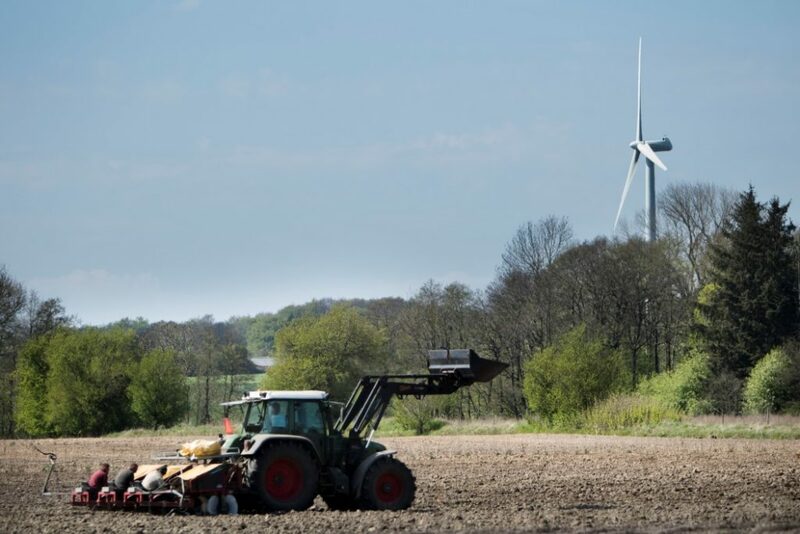 Since 2014, VCS Denmark has been participating in the project “Klimaklar Skibhus” – “Climate Ready Skibhus” in collaboration with the municipality of Odense, which constitutes a major part of the supply area. 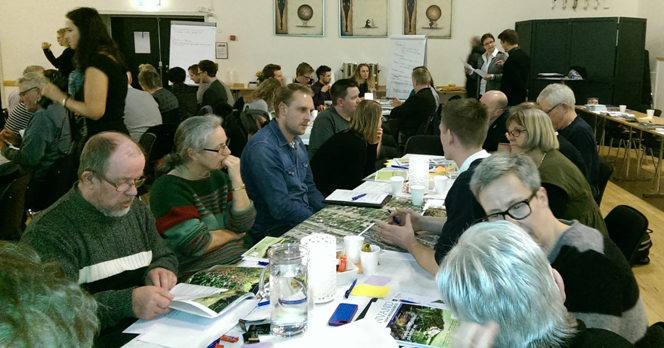 The objective has been to actively engage local property owners in creating a recipe for climate adaptation of private and public areas in the municipality of Odense. Skibhus is an urban area in Odense, and the project area consists of 220 properties that have experienced frequent flooding and sewer system overload. The ultimate objective is to keep all rainwater out of the sewage system – and manage rainwater directly where it falls instead. 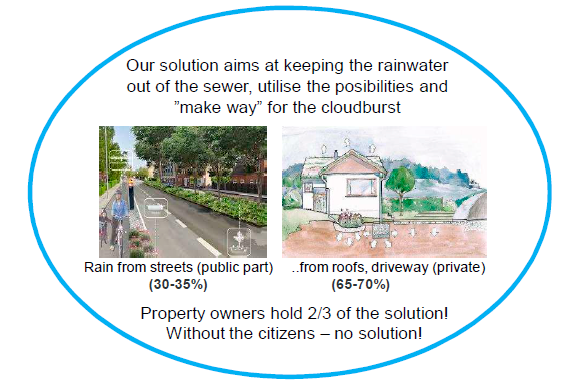 Since a lot of the rainwater in this area falls on private property, communication and inclusion of the local citizens have been key factors in the project. From the very beginning, dialogue with the property owners was given top priority. There has been as much focus on broad based communication and inclusion of citizens as on innovative engineering and redefining the roles of the municipality and VCS Denmark as a utility. The first success was a workshop held for managers and employees from the municipality and the utility that were to be involved in the project. This served to create a shared understanding of the objectives and the basis for the project. In addition, an initial meeting with the local citizens was held. The management of the project is shared between the municipality of Odense and VCS Denmark. The steering committee also includes people from both organizations – and from the municipality more perspectives are represented via participants from different departments working with e.g. climate, leisure and public spaces. In later stages, property owners have contributed with ideas and inputs at informal workshops and during neighborhood inspections and road meetings as well as via the project’s Facebook page, website and newsletter. The project has established a volunteer corps of local ambassadors, consisting of especially committed property owners and sceptics alike.  The ambassadors are the first to hear news and, in return, they provide us with the local perspective and helps disseminate information and messages across the area. Project managers have camped out in the neighborhood to invite property owners to come forward with input or questions. Meeting with the property owners on their “home turf” has been highly conducive to establishing trust and positive dialogue. The project is also special in that it uses Sustainable Urban Drainage Systems (SUDS) in an area that generally has a high groundwater level. The complexity of the local area poses major demands on local planning. VCS Denmark must develop an entirely new approach to the development of models and calculations regarding rainwater management. Incorporation of the hydrological balance in the city’s overall drainage systems requires the implementation of new tools, new collaborative interfaces and innovative utilization of existing technologies. Mid-2017 the status of the project is that homeowners in about 10 percent of the houses in the area have implemented a SUDS-solution on their ground, mainly in the form of rain gardens. Construction of two public roads with SUDS is on its way – and later on three additional roads will follow. The cocktail of communication, involvement and cross-sectorial collaboration has made it possible to address the challenge of rainwater management. In the long term, VCS Denmark’s goal is to turn the technologies and processes into holistic and sustainable solutions that can be implemented across the city as a whole. Production of drinking water in Denmark is based on clean groundwater. The only necessary water treatment is aeration and filtration through sand filters. The philosophy is to deal with potential pollution at the source and minimize advanced water treatment. Since the groundwater resources are quite vulnerable to pollution, groundwater protection is a necessity. All levels of public administration play an active role in protecting the groundwater resources in co-operation with local water utilities. The municipality of Odense and VCS Denmark have succeeded in a partnership approach with a shared vision of joint catchment protection. However, groundwater protection can also be achieved in collaboration with other stakeholders. In VCS Denmark’s latest groundwater protection project, the utility has moved beyond working with public administration – and succeeded in creating a recipe that can also attract private investors. This gives new opportunities in terms of groundwater protection. The project concerns the creation of “Brylle Water Forest”. Brylle is the name of the nearby village, and “Water Forest” encompasses the forest’s dual function of being both a forest and a groundwater protection area. The first trees were planted in May 2017, covering an area of 35 hectares, but the total forest area will most likely end up being around 130 hectares. Behind the project is VCS Denmark and Hedeselskabet – a business foundation that owns and operates a number of subsidiaries within nature, environment and energy. The partnership was initiated in 2014 through an agreement on private afforestation. The municipalities of Odense and Assens have also been part of the development project, as the village of Brylle is situated close to the borders of these two. Other important stakeholders have been the farmers that used to own the land where groundwater protection is needed. The first phases of the project focused on establishing good contact with the farmers and researching how land might be sold or exchanged in order to create a cohesive area above the groundwater catchment area. Acquisition of farmland and afforestation is expensive. Afforestation is without doubt one of the most costly measures in groundwater protection. In the case of Brylle Water Forest, VCS Denmark covers part of the expenses of the project and pays for the declaration of non-use of pesticides that is essentially how the groundwater will be protected. In Denmark, forests are generally protected against abolition for other purposes, and therefore the existence of a forest is a long-term precautionary measure. Once it grows bigger, Brylle Water Forest will be a multi-purpose forest. It protects a very valuable groundwater resource, it accumulates CO2 and thereby contributes to reduce greenhouse gas emissions, and it supports biodiversity in a landscape otherwise characterized by agriculture. The forest will be a production forest, but the public will also have access. Tables, benches and paths will support recreational use of the forest – for both the citizens of Odense, Assens and the neighboring village Brylle. Overall, the project serves as a brilliant example of achieving a sustainable solution in terms of societal need, environmental consideration and economy. 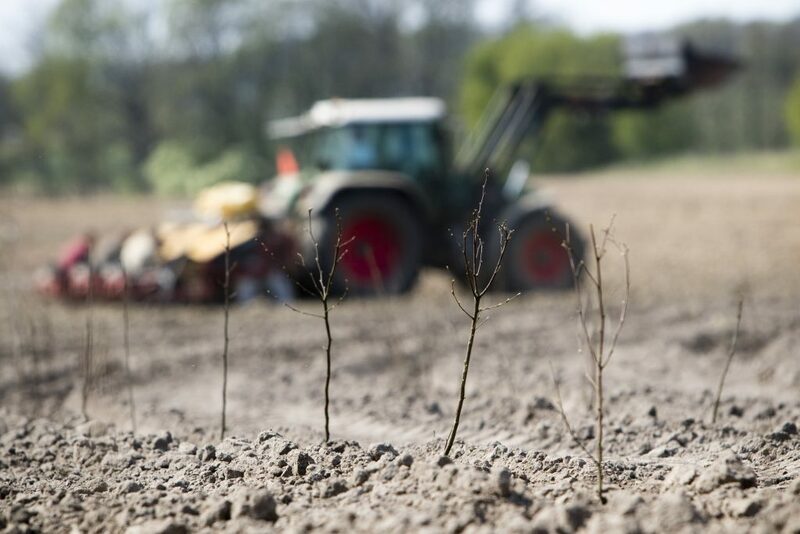 Apart from Brylle Water Forest, VCS Denmark is also part of the Elmelund Project, which is one of the largest afforestation projects in recent history in Denmark. It was realized by a partnership between The Danish Nature Agency, the municipality of Odense, and VCS Denmark. Establishing durable partnerships in joint catchment protection – where risks, costs and benefits are shared – has been a great success for VCS Denmark. The consumers and citizens have profited from the utility’s ability to cooperate and find sustainable solutions to the challenges VCS Denmark faces. VCS Denmark believes that these cases might be an inspiration in an international context, too. The partnership approach shows how a water utility can join forces with both private and public partners to create sustainable and liveable cities. The recipient water body for treated wastewater, Odense Fjord, is a Natura 2000 area. Limits for treated wastewater are: Phosphor 0.5 mg/l, nitrates 8 mg/l – practice is 0.4 respectively 5.0. Intelligent on-line VCS Denmarkll field management system - huge energy savings. Intelligent real-time analysis of water quality data - presented to the operator as simple alarms and graphical figures. Applied Smart-grid tool for water production management controls and optimization of the entire water production systems. Case Pressure Control Water Distribution Network Simulation Programme carry out online calculations based on real-time measuring of flow and pressure in the various sections of the water distribution system.